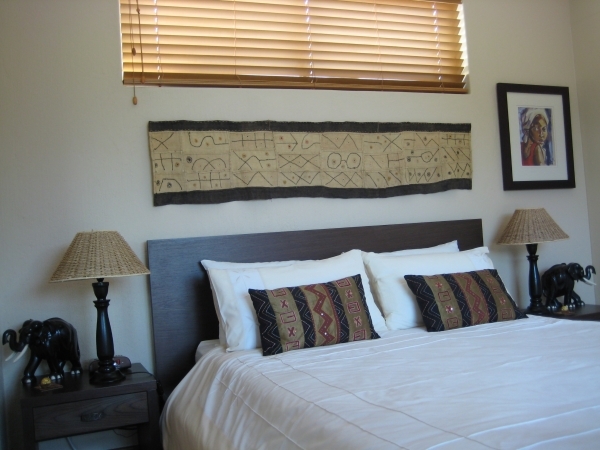 Fernkloof Lodge is an artistically and uniquely decorated home. Each room is beautifully appointed with an eclectic combination of old and new touches and original South African artworks. From the African Colonial Suite and the Golf Suite overlooking the Golf Course, to the Terrace Room where you can step into the crystal clear water, you will feel the ambience of Fernkloof Lodge. Your Continental or Full-English breakfast will be served at the poolside in a sun drenched patio. The perfect way to start a new day. 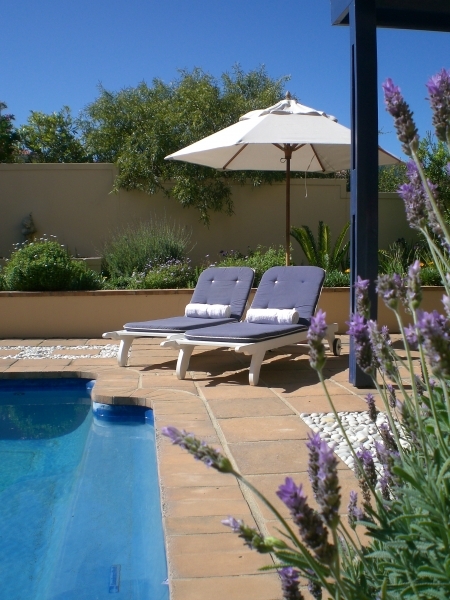 As the sun begins to set, cool down in the sparkling pool or sip sundowners at your leisure. The tranquillity of Fernkloof Lodge is just a doorstep away! From R550 per person, per night. 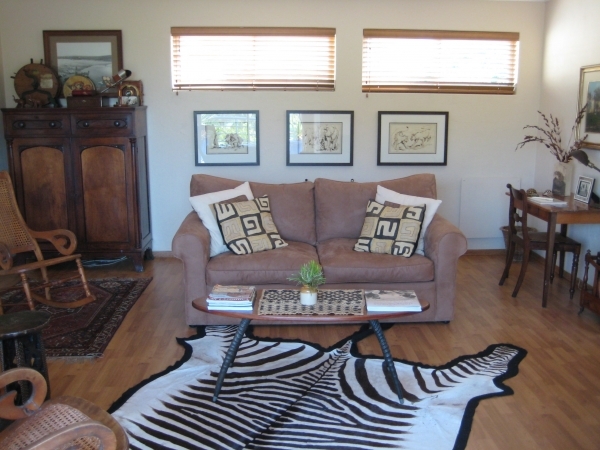 The Country-styled Golf Suite can be used for B&B or Self-catering. It has a spacious lounge with kitchenette overlooking the Golf Course. 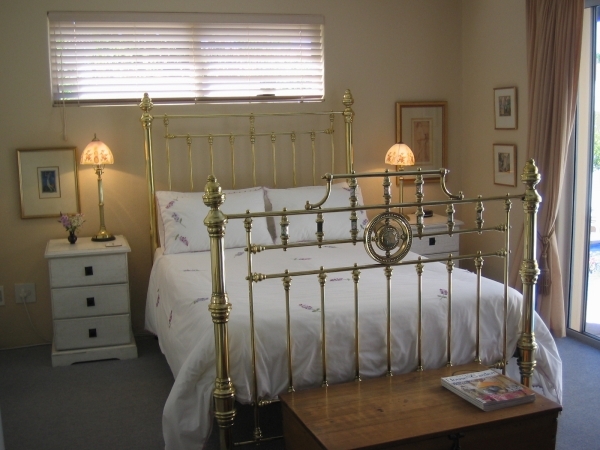 Double Room with en-suite bathroom (shower and toilet) and loft room with twin beds perfect for children. Enjoy your private patio with barbeque facilities. No children under 7. From R700 for 2 Adults and Children from R150 per child.